Green Orange Villa is located in the traditional village of Koufos, 2km away from the famous village of Alikianos. Green Orange Villa is perfectly situated for you to step outside and start discovering all that Chania Prefecture and the local area has to offer. Green Orange Villa is located just 2km away from the spectacular mountain village of Alikianos.The village is a picturesque traditional Cretan settlement surrounded by citrus groves. Some of the most interesting sites to visit in Alikianos are a ruined Venetian castle of the aristocratic Molini and a noted 14th-century church of Agios Ioannis. At the church is an impressive war memorial of marble with a bronze bird on top to commemorate the people of the Greek resistance that were killed by the Germans in the village. Unfortunately there has been a lot of fighting at this place during the Second World War Though much overgrown, the dilapidated walls standing among orange and lemon trees are still impressive. The castle was the scene of a well-known massacre, when the Cretan rebel leader Georgios Kandanoleon was betrayed by Francesco Molini during his wedding to Molini’s daughter. 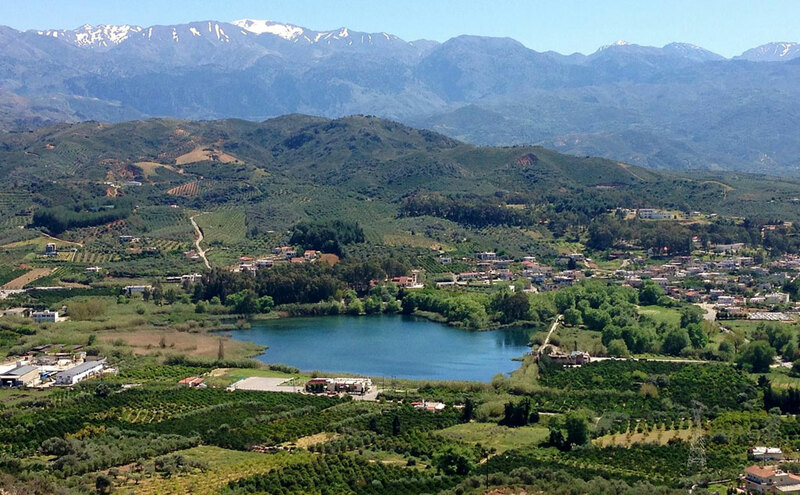 Also, near Alikianos an artificial lake named Lake Aghia has been recently constructed for the purpose of providing sustained water supply to the Alikianos area and to facilitate crop irrigation. Lake Aghia also has a special ecosystem that is used by migrating birds each year. The Green Orange Villa’s visitors can experience the magnificent flora and fauna of Aghia Lake through sightseeing tours or by embarking on treks and hikes through beautiful sites. The famous sea-side resort of Platanias is located 8km away from the Green Orange Villa.The crystal clear waters and the sandy beaches of Platanias are among the best in Crete. 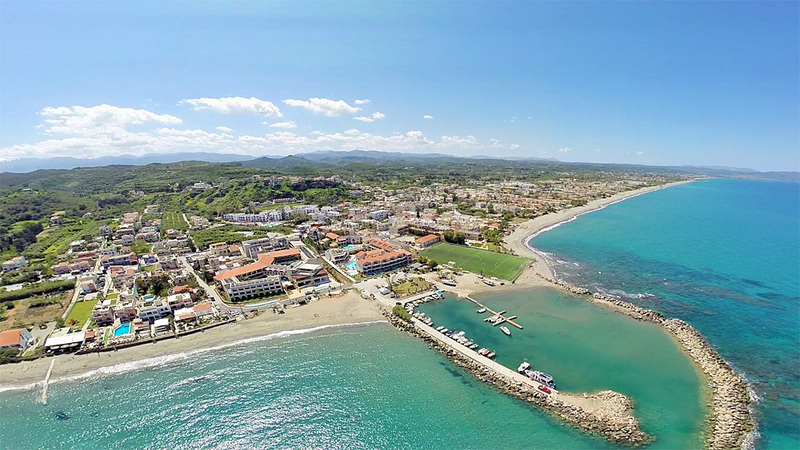 Platanias features a picturesque 4 km long coastline, which is well organized. There are many mini markets, jewelry shops and taverns nearby, making things really easy for you, especially if you travel with your children. This is one of the reasons why Platanias is one of the most popular resorts in Crete among families. Apart from the beaches, you have the opportunity to discover traditional Crete in the Pano Platanias village. Pano Platanias is located upon a hill. It is a picturesque village, with narrow cobbled streets and beautiful flower gardens. The top of the hill offers a spectacular view to Platanias beach and to the nearby islet of Thodorou. 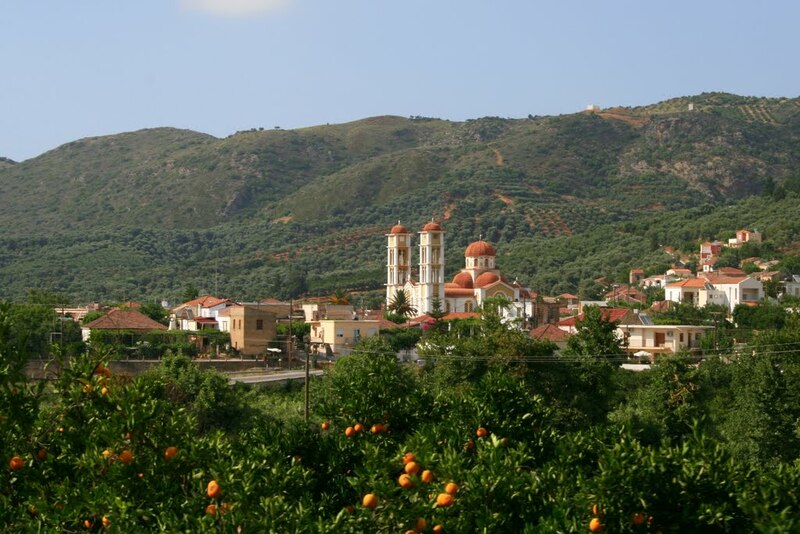 The central square of Platanias, located on the road from Chania city, is the natural meeting place. Around the square, there are numerous shops, restaurants and bars. Platanias is well-known all over Crete for the high level and variety of its entertainment and nightlife. There are certain epic hikes throughout the world, and the hike through Samaria Gorge National Park is one of them. What makes Samaria Gorge epic? At 16 kilometers, Samaria Gorge is one of the longest gorges in Europe, is located in Crete’s only national park, and provides stunning views all day long.The world famous and longest gorge in Europe, Samaria Gorge is located 52 km away from the Green Orange Villa. 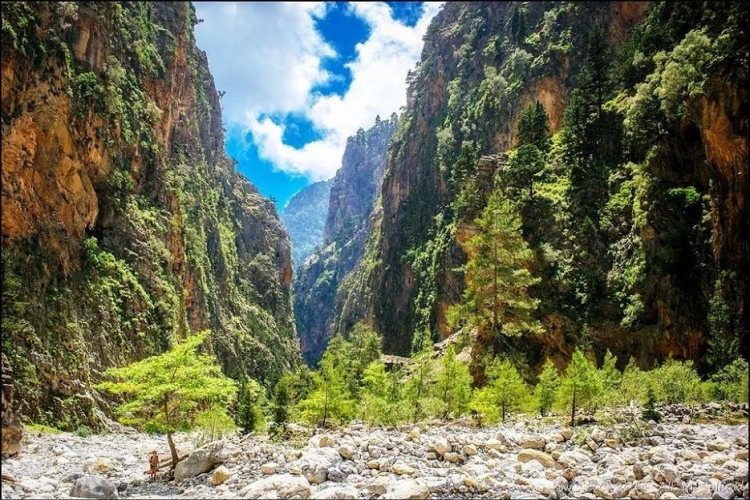 Samaria Gorge starts at a trail named “Xyloskalo” on the southern part of the Omalos plateau.This majestuous gorge is considered one of the great attractions of Crete and many tourists want to visit it. But you must realise that it is a long (5 to 7 hours) walk on rough terrain so you will need to have a certain degree of fitness and walking experience in order to enjoy it. The beauty and splendour of nature is truly unique. Chania constitutes an ideal destination for cycling routes because of the excellent weather conditions and the morphology of the terrain. 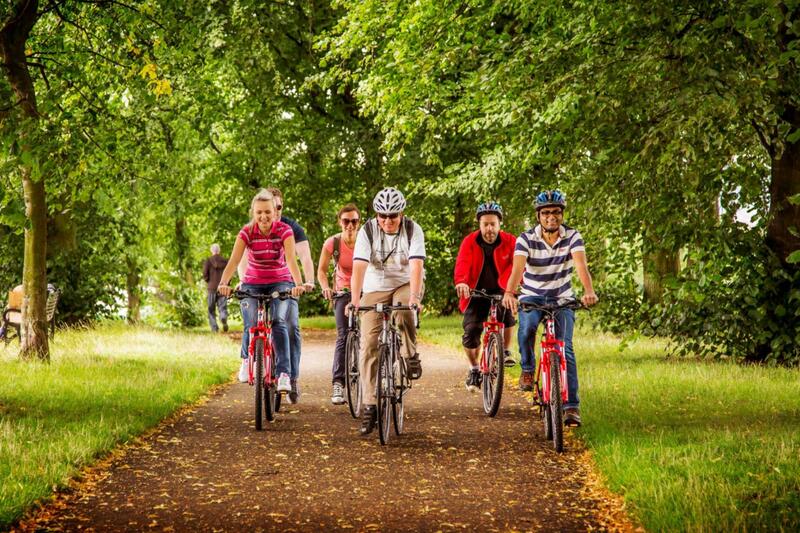 Learn the local culture, the ancient history and the magnificent natural landscape of Chania with a bicycle. In Chania you can find many cycling centres that offer services, information on guided or independent routes, guidance and support. They can organise your route through different landscapes combining mountain, denticulated beaches, fruitful plains with historical monuments, making this experience unforgettable.